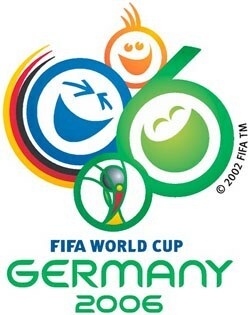 The 18th World Cup was played in Germany from 9 June to 9 July in 2006. After a qualification phase including total of 198 nations, 32 teams would be competing in the last phase of the tournament, including the automatically qualified host nation Germany (for the first time since the rule was introduced 1938, the reigning champions was no longer automatically qualified). Angola, Ghana, Ivory Coast, Togo, Trinidad and Tobago, Ukraine, Czech Republic and Serbia and Montenegro would all do their first World Cup appearances. Just before the tournament the biggest scandal ever in Italian football, Calcipoli, concerning match-fixing, had exploded in the football world and many players in the Italian team was in some way affected by it. The events would have a positive impact on their performance and not vice versa. The format consisted of groups with four teams in each from which two teams would advance to a knockout phase. The matches would be played at twelve stadiums in twelve cities. 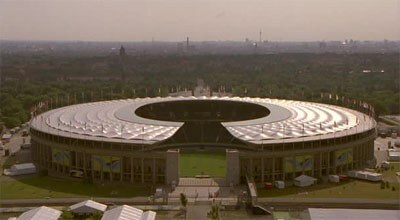 The final would be played in Berlin at Olympiastadium, with the capacity of 72,000. The match between Germany and Costa Rica which included six goals become the opening match with most goals in the tournament. Few goals per match, almost a new low record, would, however characterized the tournament as a whole. The team that impressed most in the group phase may have been Argentina. In the second match against Serbia and Montenegro, Argentina won 6-0 and one of the goals was arguably the best in the World Cup: 24 passes were made before the second goal made by Esteban Cambiasso. Argentina would eliminate Mexico in the Round of 16 after yet another dream goal, this time a shot by Maxi Rodríguez. They would, however, lose on penalties in the next match against Germany. Germany that effortless had advanced from the group and slammed Sweden in the Round of 16 before the encounter with Argentina would in the next match lose against Italy. Italy would also win the final against France, when the final for the second time in World Cup history was decided by a penalty shootout. France had taken the lead on a dubious given penalty before Italy's equalizer. But the most talked about incident became the headbutt Zinedine Zidane did on Italian defender Marco Materazzis that gave him a red card. Zinedine Zidane headbutting Marco Materazzi. FIFA World Cup 2006 would include 64 matches in which 147 goals were made (2,30 goals per match). Italy would beat France in the final with 5-3, after a penalty shootout. Argentina – Mexico 2–1 a.e.t. Italian celebration after the final.